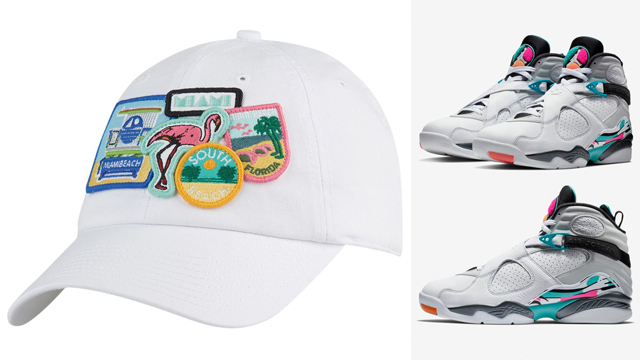 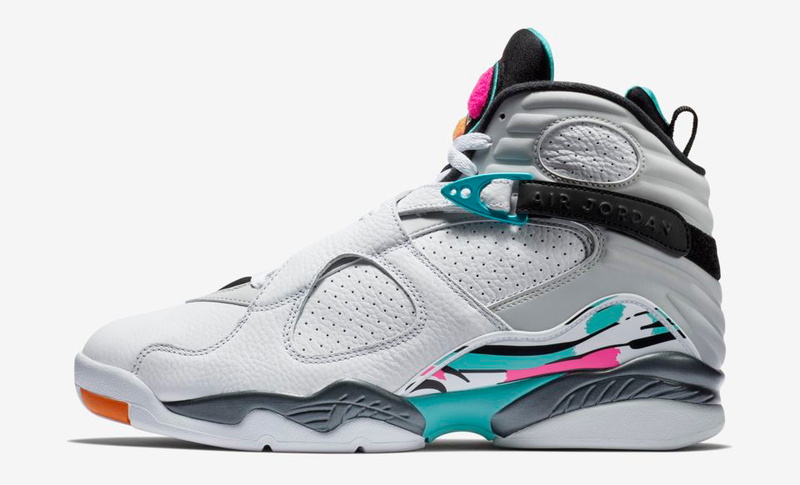 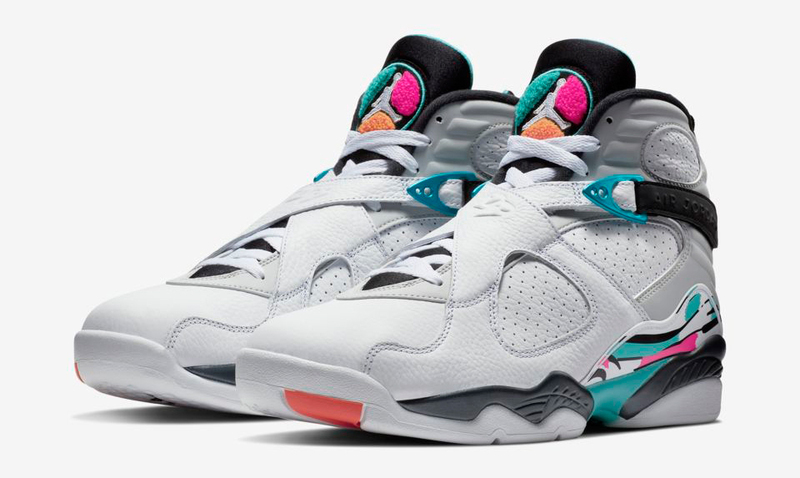 Top off the Air Jordan 8 in South Beach style with these American Needle South Beach City Patch Adjustable Caps to match the shoes. 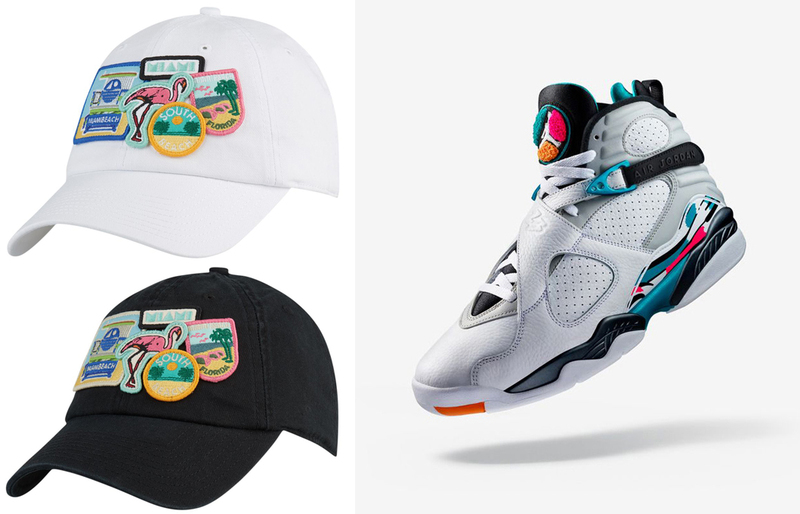 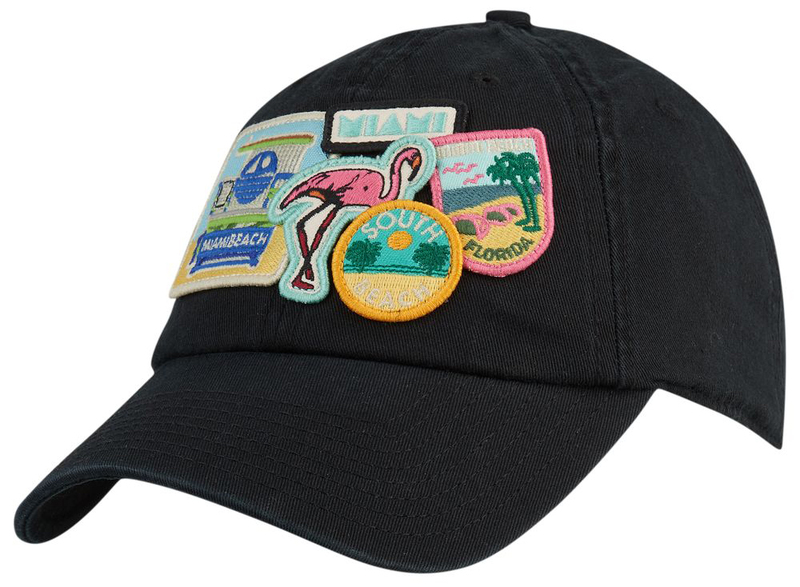 Part of the American Needle City Patch Hat Collection, these black and white adjustable strapback caps come covered in South Beach patches plus pastel accent colors like pink and teal to match the highlight hues on the AJ 8 Retro shoes. 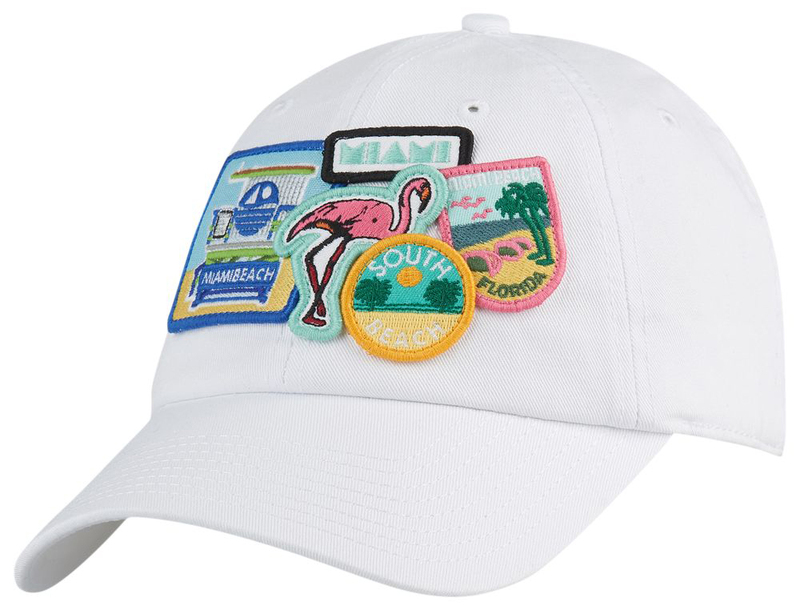 The caps feature an unstructured design and pre-curved visor for a classic shape, plus merrowed twill team patches and embroidery on the front panels for signature South Beach fashion. 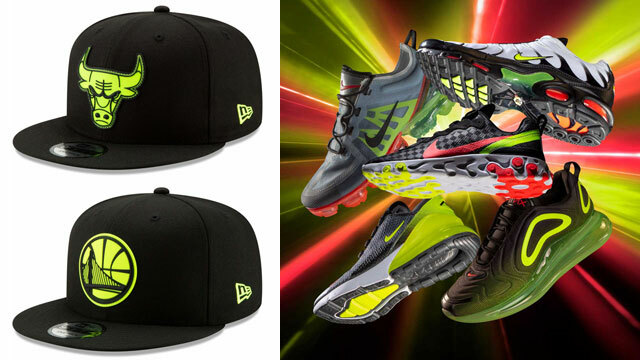 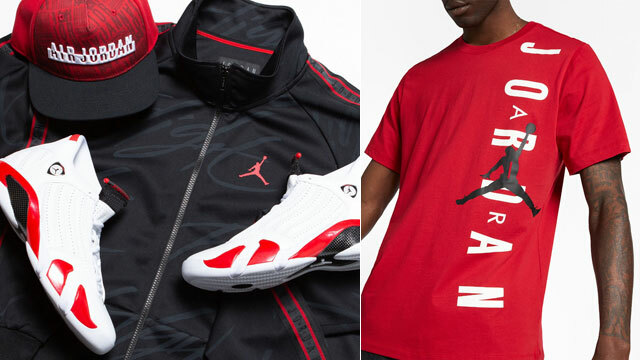 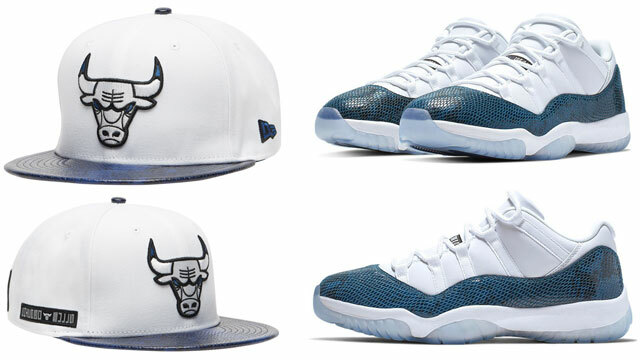 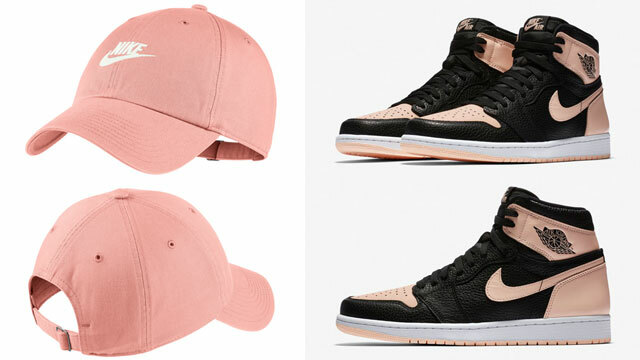 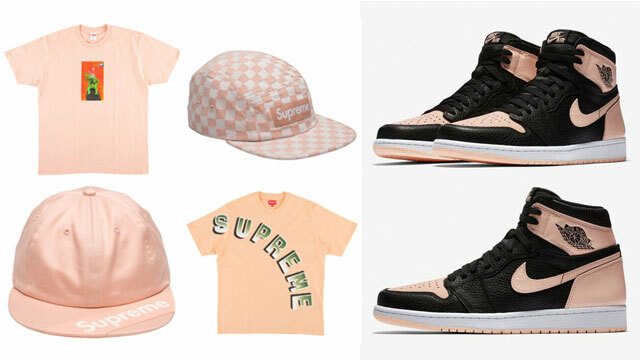 You can cop the kicks and caps to match below.